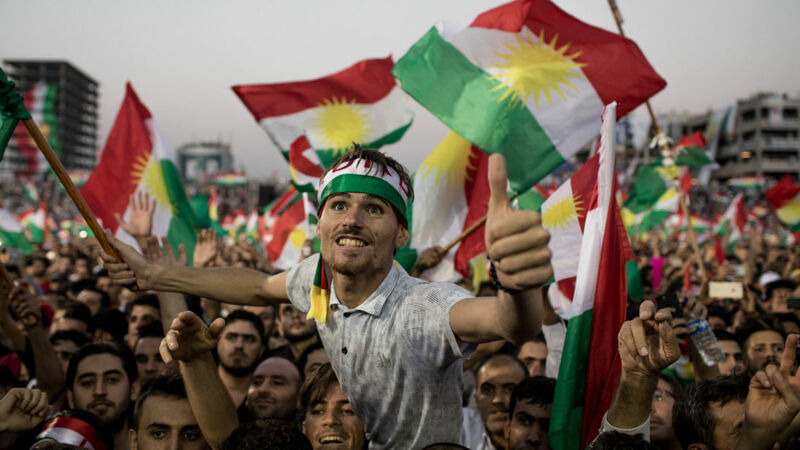 What would Gertrude make of the Kurdish referendum? 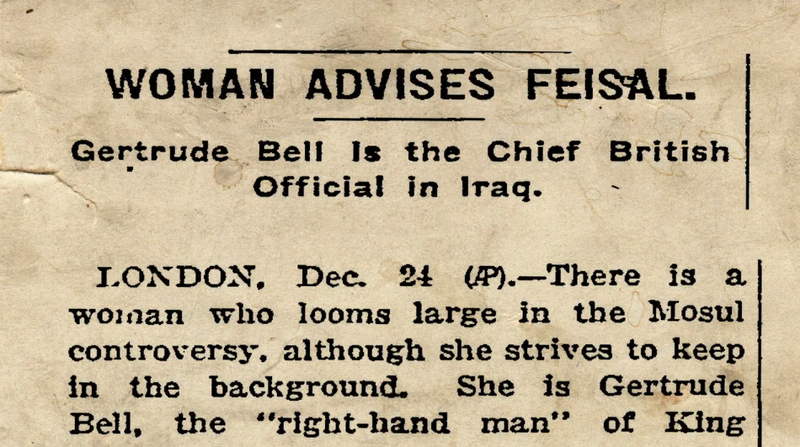 With the current situation in Northern Iraq simmering since the Kurdish referendum, its perhaps a moment to reflect on a much forgotten and neglected historical figure and her role in this important moment. It is a little known fact that Iraq's existing borders, including within it Iraqi Kurdistan, were drawn up by an Oxford educated British woman adventurer. 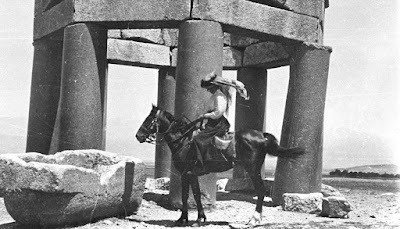 Gertrude Bell was one of the most extraordinary and influential women of the time. 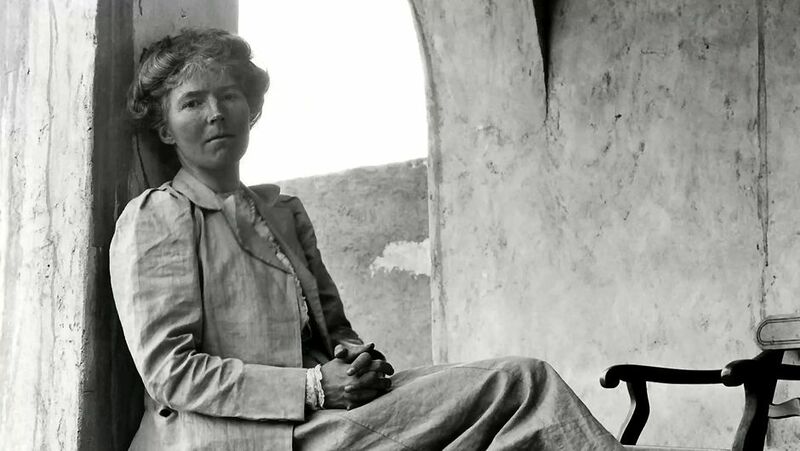 Described by some as a female Lawrence of Arabia and by him as a "wonderful person, not very like a woman", she was by all accounts considered far more accomplished and deserving of more recognition than she ever received. She had a passion for archaeology and fell in love with the Middle East, travelling all over the region as a woman alone, throughout Syria, Arabia, Persia and what was known then as Mesopotamia - now Iraq, southern Turkey, Kuwait and eastern Syria. During the time of the power struggle for the region between British, French and Ottoman Empires, she travelled extensively across deserts and through tribal lands, quickly building an affinity with the Arabs and befriending local Sheikhs. She was a risk taker who held no fear of harsh environments and though small in physical stature, refused to be intimidated by people or situations. 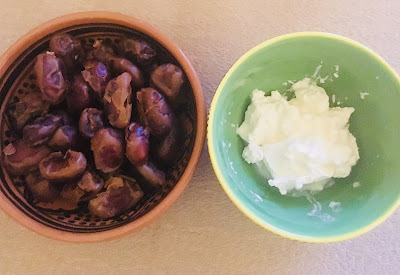 She found herself an accidental expert in Arabic culture and became a 'go-to' specialist for the British Government, fluent in Arabic, Persian, French and German and a natural sociability, trusted by bedouin tribes and noble Sheikhs alike. She quickly developed the Arabic epithet "al-Khatun" - which can be translated to mean 'lady of the court who keeps her eyes and ears open for the benefit of the State' and her view that Arabs were more than capable of managing their own affairs without the interference of colonnial powers, was at odds with the prevailing winds of the West. 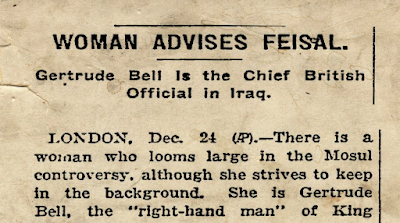 But her belief in Arab self-determination won out when she was instrumental in installing King Faisal as the new post Ottoman ruler of Iraq. 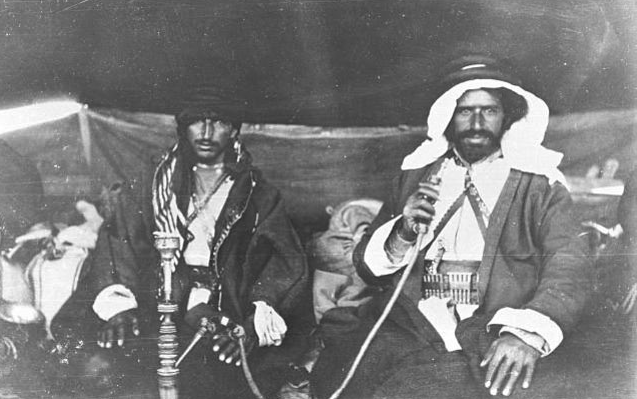 Gertrude had known Faisal when he was King of Syria, before being deposed by the French. 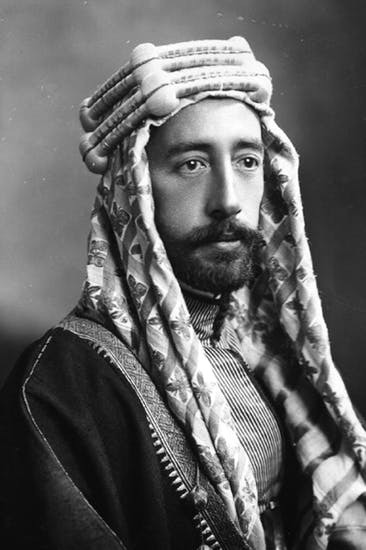 He had an interesting lineage which she believed made him a good choice as leader of Iraq - the combination of him being a Sunni which would appeal to the Kurds in the North, whilst having direct lineage from the Prophet Muhammad, which would appeal to the Shia population, would provide the balance required for peaceful co-existence. 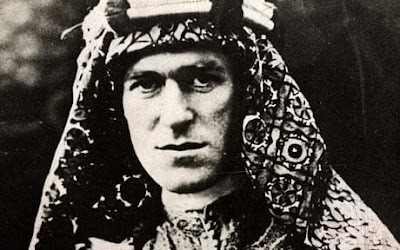 However, her friend TE Lawrence didn't agree on the position of the borders , saying "Bell should never have acquiesced in the inclusion of the Kurdish dominated province of Mosul in Iraq". And perhaps he was right. The Kurds are the largest ethnic population in the world without their own homeland - somewhere between 30 & 40 million. 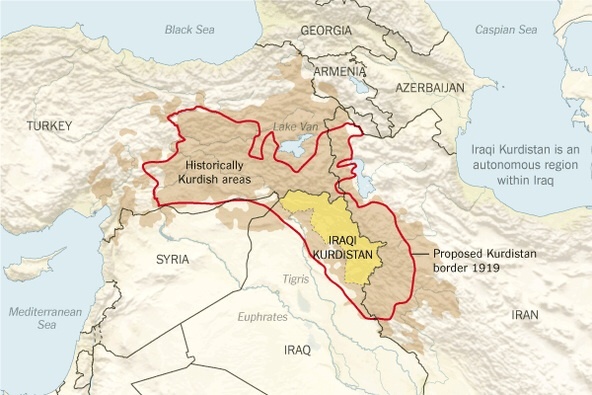 After the break-up of the Ottoman Empire, an independent Kurdistan was considered within the borders proposed above. 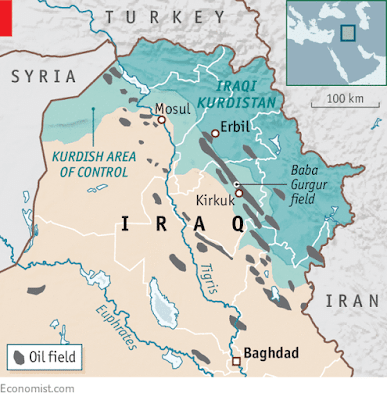 But it was oil that helped tip the balance to include them within Iraq's borders - the Kurdish region holding 40% of Iraq's oil. The British Government decided to include this particular region, now known as Iraqi Kurdistan, as part of a 'stable' centrally governed Iraq, so they could keep their interest in the oil. So of course this is also the reason that Baghdad wont let it go now. I watch this huge moment in Iraq's history wondering what Gertrude would make of it. 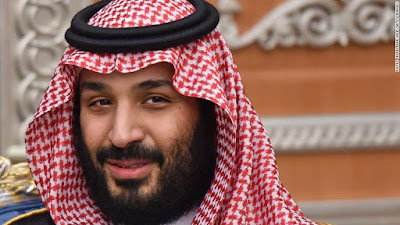 Being largely responsible for the shaping of modern Iraq, and somewhat uncomfortably representing the British Government, her heart was still Arabian. 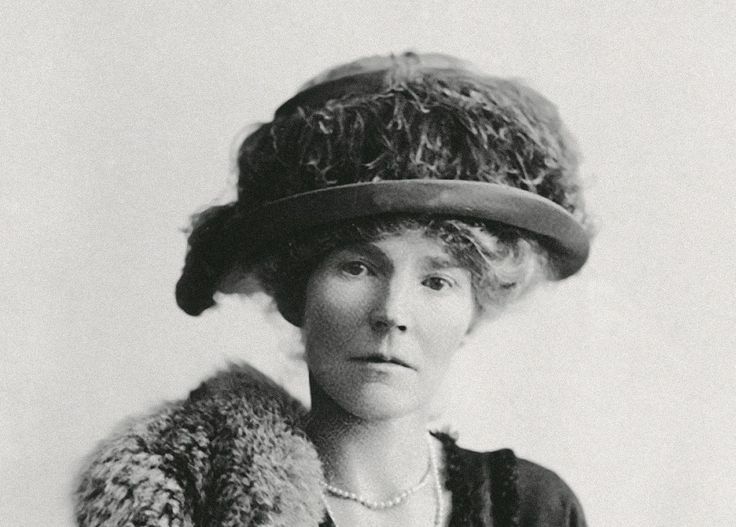 Indeed she had quite a disdain for colonialism, observing "we rushed into the business with our usual disregard for a comprehensive political scheme...... wading through blood and tears that need never have been shed." In that, history has proven her right. Ironically, for one so passionate about the right to self-determination, it was Gertrude who ultimately allowed the sacrifice of an independent Kurdistan for a larger prize of Iraq. 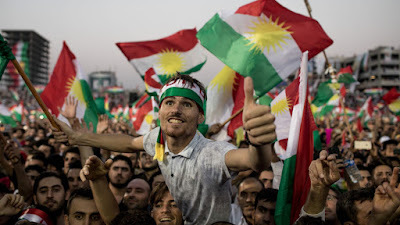 Perhaps its time for the British Government to stand up, accept their role in depriving the Kurds of their own land and support them in their quest for independence. 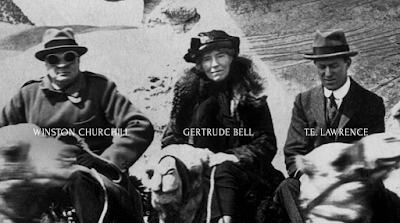 As for Gertrude, she remained in Baghdad until her death in 1926 at the age of 57, having never been married and lost both loves of her life in tragic circumstances. Ultimately, it was the Arabs who held her in the highest affection, her funeral procession observed from his window by King Faisal himself. 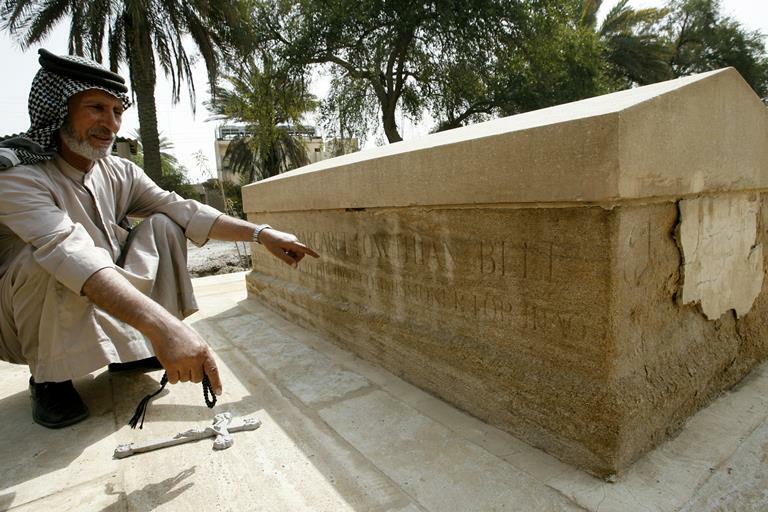 She is buried on the eastern banks of the Tigris river. Many thanks for your feedback Linda!! Thank you for sharing such a great information. It's really awesome.